Costco Recipes | The Twist from a Twisted Sister! You asked for it…Hot off the Press! Please join my email list so I can email you my new location and my latest blog. Click Here! 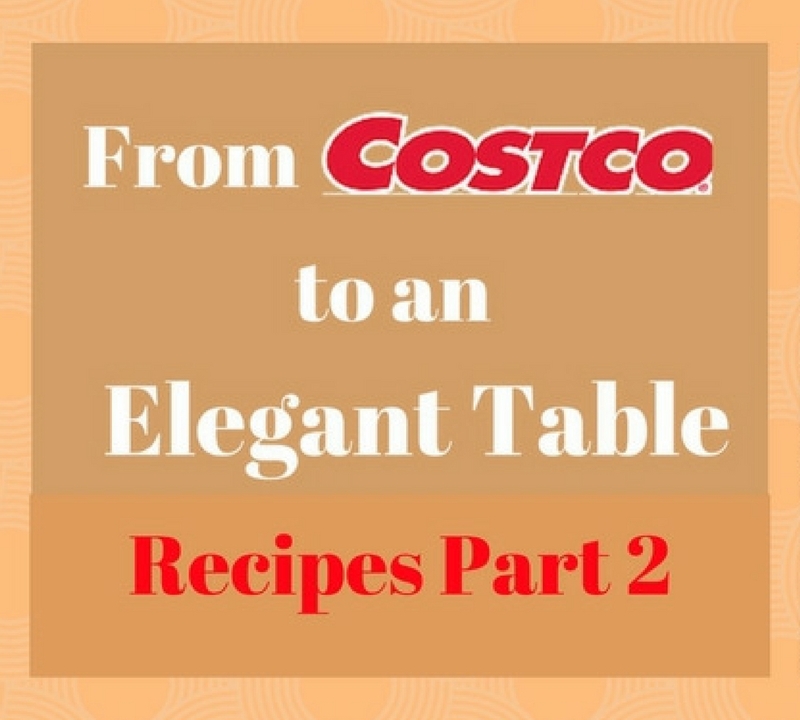 Sorry this has taken so long but I just finished the recipes for Part 2 of From Costco to an Elegant Table and it is fabulous. I taught this class this week at the the lovely Cambria Gallery in Palm Desert and I can’t tell you how many kudos the food received. Part 2 includes 5 of my most requested recipes from the last 3 years. There is something for everyone. I promise, you will never consider making these dishes from scratch again. This is an instant digital download with beautiful pictures and the exact locations of where to find the items at Costco. I hope you will enjoy these recipes as much as I do. They really are yummy and PAINLESSLY easy. The time alone you will save justifies the tiny price AND your friends and family will marvel at your new found creativity! Click HERE! Check back in a few weeks for Part 3.